I must admit it is getting a bit grim out there. Fall has finally arrived, it’s getting colder and darker, the skies over this ghastly Harperland are filled with flying monkeys. Stephen Harper is a frenzy urging them on to destroy his enemies, with his poisonous wedge issues. And of course this is a living nightmare. 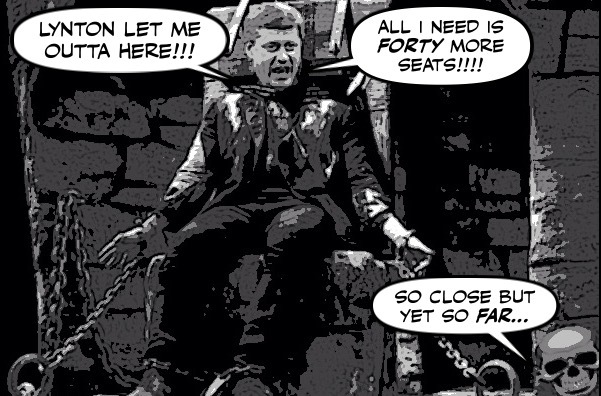 Less than two months ago they were fitting him out for his political coffin, he was being battered by the Duffy scandal and growing less popular with every passing day. Now he’s back, and gunning for another majority. For he was brought back from the dead by the grotesque Australian flying dingo Lynton Crosby. Who is pulling his strings and running his campaign. If you still need proof that Australian miracle worker Lynton Crosby is firmly in charge of the Conservative campaign, look no further than what you haven’t seen in the past two weeks: any evidence of Jenni Byrne’s continued presence on the planet, or any further snafus from the hyperactive social media campaign kids. Everything is transpiring according to the playbook, and Crosby — who probably can’t believe his luck in landing so soon on one wedge issue in the niqab controversy — is actively looking for other flashpoints to divide the voters. To fan fears of a refugee invasion. 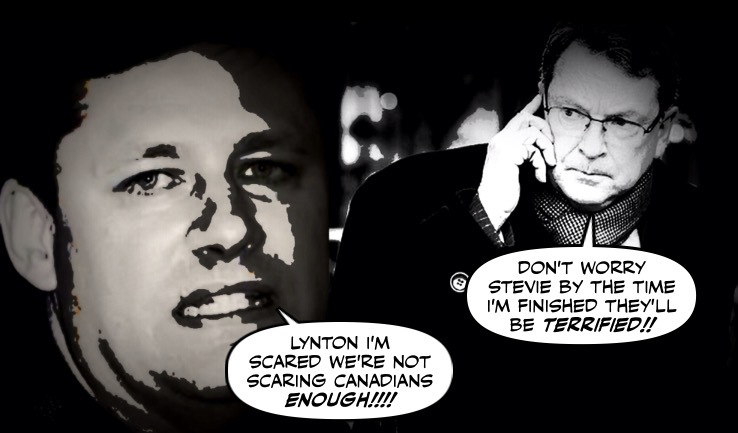 He has given Stephen Harper a new lease on life, and smothered, at least temporarily, the NDP’s support in Quebec. Even though as Naheed Nenshi said on the Evan Solomon show, those wedge issues couldn’t be more disgusting and dangerous. 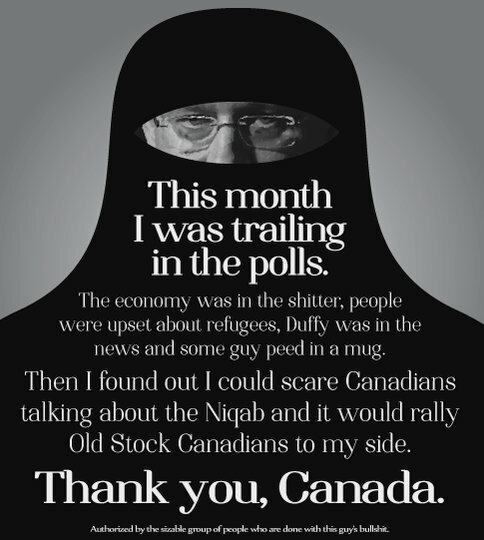 And even though the niqab controversy couldn’t be more of a non-issue. Since 2011, two women have been denied the ability to take the citizenship oath without removing their face covering, Sonia Lesage, a spokeswoman for Citizenship and Immigration Canada told the CBC. But the good news is that because it is such a non-issue, it will begin to subside after the last debate in Montreal tomorrow. It will be overtaken by other more important issues. So, with just over two weeks to go, this campaign is on the cusp of breaking. 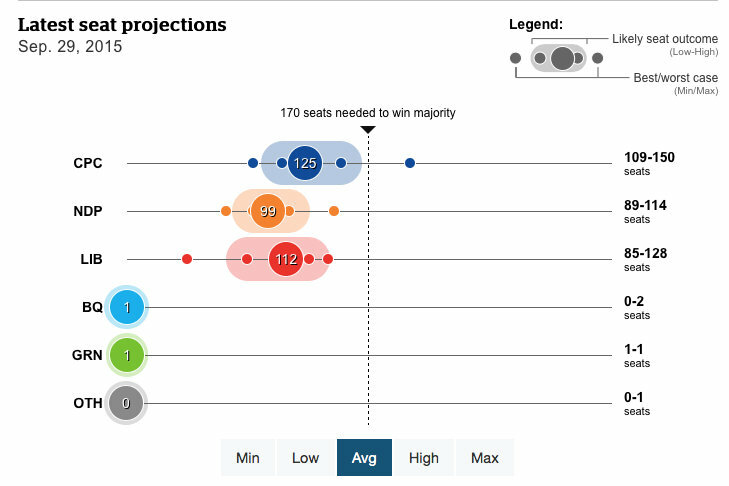 Harper, with wedge issues in tow, will begin to move within striking distance of a majority government. Left-centre voters — who can’t understand how Harper could possibly be winning, and who will do anything at all to prevent him from winning — will start to line up behind the most viable option. 59 per cent of those who picked Mulcair first said Trudeau would be their second choice. With large numbers of Liberal and NDP supporters prepared to shift their vote if that’s what it takes to stop Harper. And when you look at the latest CBC Poll Tracker results, you can see that Harper is nowhere near another majority. Justin Trudeau has more momentum than he has, both the Liberals and the NDP have deeper pools of voters to draw on than Harper, who has almost drained his shallower one. Even if he does win a minority government, we will have more than enough votes to topple him. By asking Canadians whether they are going to let an Australian bully scare them. 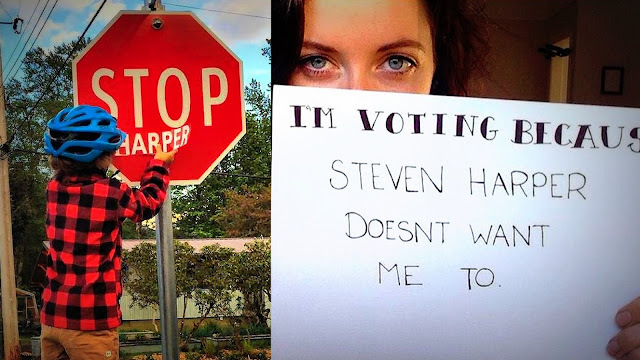 And why is Stephen Harper using a foreigner to try to divide Canadians, and try to poison a Canadian election? We shall turn his flying monkeys against the monster.